"Bombs are exploding all over the city. I hide my feelings from everyone, but I am drowning in despair. When will this war end? For how long will my life consist of the dead space between two explosions?" 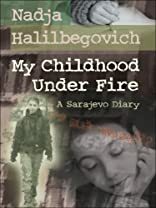 -- June 6, 1995 On the first day of the siege of Sarajevo, 12-year-old Nadja Halilbegovich's life changed forever. In the face of constant tank and sniper fire, daily life in this beautiful, mountain-ringed city was suddenly full of fear. Without reliable electricity, water or medical supplies, the blockaded city ground to a halt. Nadja and her fellow citizens tried desperately to live normal lives while forced to scrounge for even the most basic necessities. My Childhood Under Fire is Nadja's diary of the years 1992?95. It is her personal account of becoming a teenager during wartime. It is also a monument to the thousands killed during the siege of Sarajevo and to the millions of children around the world who still live -- and die -- under fire. About Nadja Halilbegovich (Author) : Nadja Halilbegovich is a published author of children's books and young adult books. 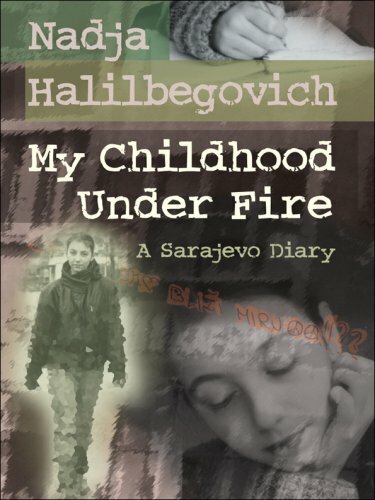 Published credits of Nadja Halilbegovich include My Childhood Under Fire: A Sarajevo Diary.